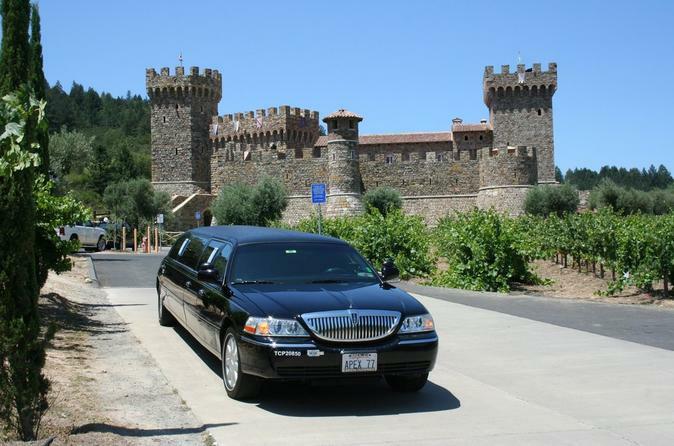 Your private limousine and driver will guide you through the wine country and help you discover the many wonders of the valley. You can experience tasting a glass of full-bodied Cab in a cave straight from a barrel or the fun of kicking off your shoes and grape stomping during harvest season. Try food and wine pairings at various wineries or just simply take a romantic private wine tour and relax in the comfort of a private limo. Welcome to the world famous Napa and Sonoma Valley. This area is home to one of the world’s finest wine producing regions that offers a great variety of wineries, restaurants, hotels and entertainment. This private tour offers you fun and educational transportation in the comfort of beautiful sedans and limousines. There is no better way to enjoy all the beauty of the wine country than in luxury. Your knowledgeable chauffeur will help make your day of wine tasting one you'll never forget. If you are not familiar with the Wine Country, the driver can help make your trip memorable by taking into account your tastes, budget and any other preferences you may have. All of the limo tours include a complimentary full bar in the limo including vodka, brandy, whiskey, champagne, a variety of soft drinks, water, and ice.